Agriculture is Mississippi’s number one industry, employing approximately 29% of the state’s workforce either directly or indirectly. 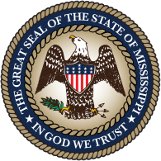 Agriculture in Mississippi is a 7.72 billion-dollar industry. There are approximately 35,800 farms in the state covering 10.7 million acres. The average size farm is composed of 299 acres. Agriculture makes a significant contribution to all 82 counties. In celebration of the efforts of those who work so hard to feed and clothe us, we present this overview of Mississippi’s top 16 agricultural crops. Approximately 747 million broilers were produced in 2018. 276 farms with 100+ layers. 116,600,000 bushels produced in 2018. 1,480,000 bales produced in 2018. 86,480,000 bushels produced in 2018. 36,100 acres of production in 2018. 5.40 million hundredweight produced in 2018. 10,147,000 hundredweight rice produced in 2018. 1.18 million tons produced in 2018. Horticulture crops include vegetables, melons, potatoes, fruits, tree nuts, berries, nursery, greenhouses, floriculture, sod and Christmas trees. 9,000 milk cows in 2018. 68 Grade A dairy herds. 96 million pounds produced in 2018. 2,065,000 million bushels produced in 2018. 240,000 bushels produced in 2018.